Drainage methods often facilitate intensive agricultural cultivation. 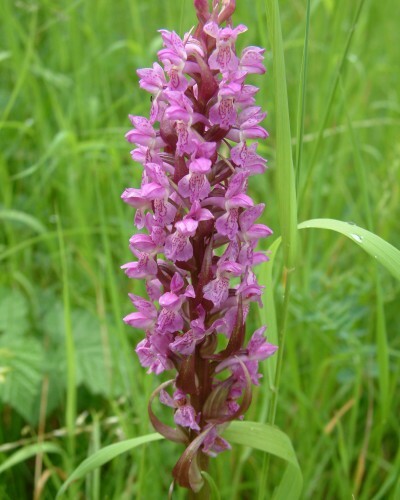 Unfortunately this also causes wet meadows to disappear from our landscape including the orchid species on them, such as the Stripe-leaved Marsh Orchid (Dactylorhiza incarnata) and the Broad-leaved Marsh Orchid (Dactylorhiza majalis). Both species of orchids bloom from May onwards. 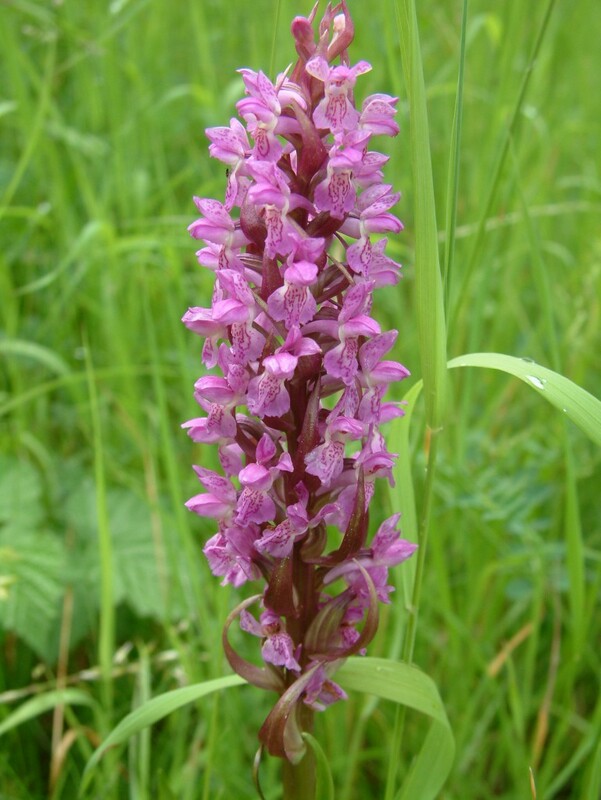 The scientific name of the Broad-leaved Marsh Orchid even contains the month in which it blooms: majalis refers to May. At Pentecost, the plant develops beautiful inflorescences – consisting of up to 40 individual flowers. 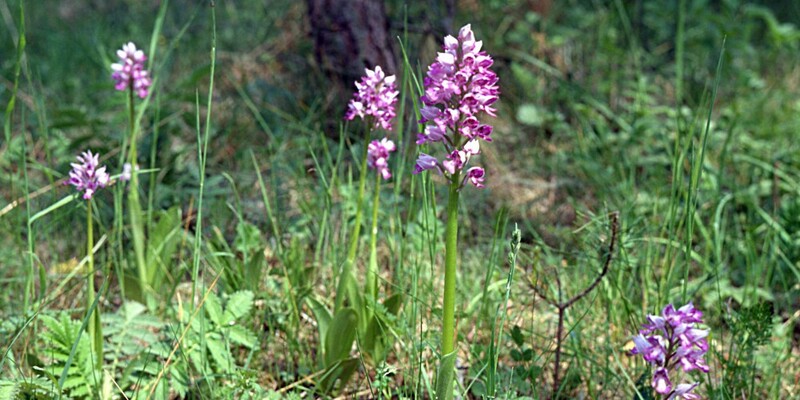 Across Germany, the population of the Marsh Orchid is continually dropping. This can be attributed to the intensive use of agricultural fertilizers as the plants do not respond well to high nitrogen input. We avoid nitrogen fertilisation! We have restored one of the overgrown, once species-rich Black Alder orchid meadows. We have once again turned it into flourishing splendour! Our orchid meadow is only used for grazing from June onwards, once the main flowering period of the Marsh Orchid has passed. Although this causes us to forgo the first cut, it allows the orchids time to develop their seeds. The orchids’ seed pods are tread into the ground by our cattle. In this way, the tiny seeds of the Broad-leaved Marsh Orchid come into contact with a special root fungus thereby entering a vital symbiosis (Mikorrhiza). Our cultivation is successful! Every year the number of specimen of both orchid species increases.